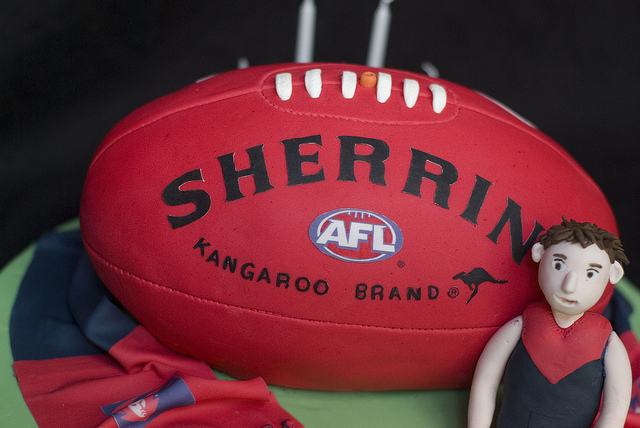 Chris Harms, head of the not-for-profit All Australian company, will send Prince George the first handmade Aussie Rules football as a present when his royal parents William and Kate arrive on their visit to Adelaide on 23 April. According to the article on the Daily Telegraph, the production of the hand painted, embroidered, screen printed football for Prince George had been overseen by fourth-generation football-making expert Syd Sherrin. “I came up with the idea when I saw Prince George in the paper and thought let’s make a footy for him,” Mr Harms said. Mr Harms said the company plans its football to be used in the AFL Grand Final in 2020. Harms’ sports manufacturing base, which employs predominantly indigenous people in Adelaide’s north, is in the final stages of agreeing a $6 million federal, state and private partnership that also has the backing of high-profile figures including Port Adelaide’s 2004 premiership coach, Mark Williams. “In the ideal world our state and federal funding will be announced next week,” Mr Harms said.